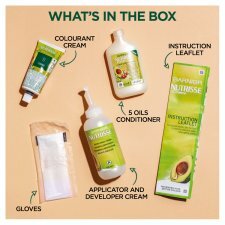 At Garnier, we believe in providing our consumers with excellent home hair dye. 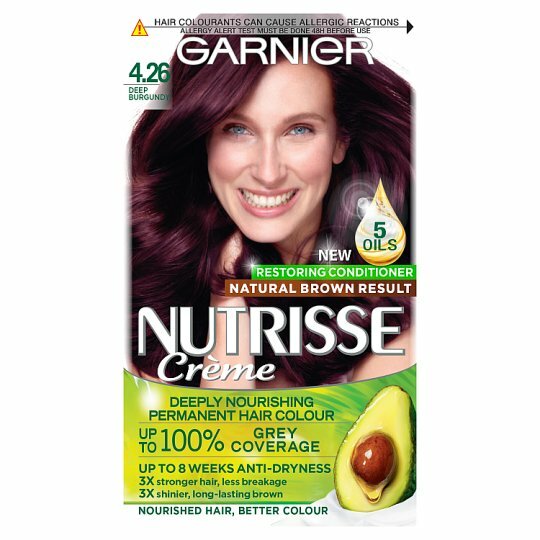 Garnier Nutrisse Crème permanent nourishing hair colourant allows you to dye your hair in the comfort of your home and with up to 100% grey hair coverage. With Nutrisse nourished hair means better colour. Our after colour hair conditioner is enriched with avocado oil, olive oil and blackcurrant oil, as well as Shea Butter and nourishes hair even after colouring. 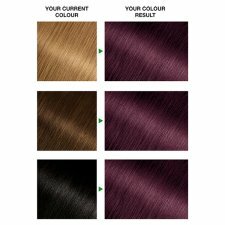 Choosing your perfect shade: Hair colour result will vary depending on your natural colour. If you are deciding between 2 shades, we recommend always choose the lightest. The Colour Result: On grey hair, colour will appear lighter than on non-grey hair. Want try before you buy? Download the Garnier color match app to see how this hair colour will look on you! 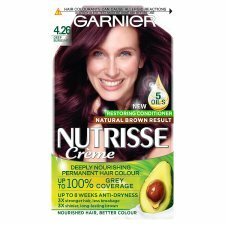 How to dye your hair at home with Garnier Nutrisse Hair Colour? Please always refer to the product for full safety instructions and always do a patch test 48 hours in advance of using any colourants. 1. Start by putting on gloves and mix the developer and colourant cream in the applicator bottle. 2. Apply the mix, starting with your roots and working through to the ends. 3. Leave the colourant mix on for 25-35 minutes, before rinsing your hair thoroughly.